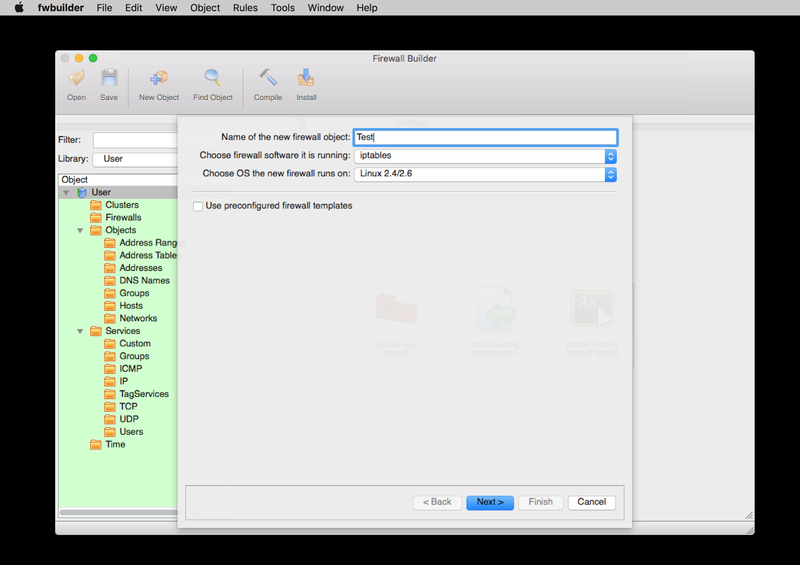 Today we released Firewall Builder 1.0 for MacOS Firewall Builder has been fully ported to GTK 3 and will run on OSX 10.11 or higher. You can find it listed in the Firewall Builder category. 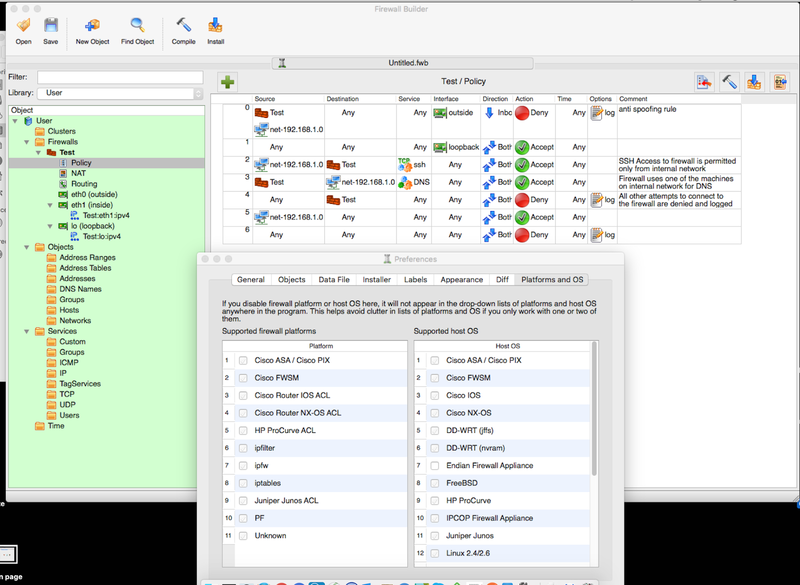 Firewall Builder : Is a flexible and powerful tool that allows you to build firewall configurations and policies for multiple firewalls/machines based on iptables, ipfilter, OpenBSD pf, Cisco ASA & PIX, or Cisco FWSM. 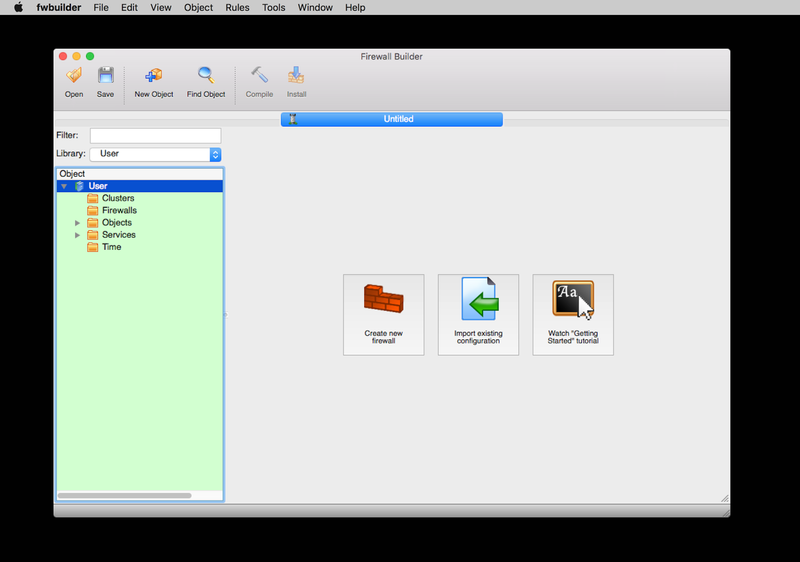 fwbuilder uses objects and functionality like drag-and-drop and search-and-replace to help ease configurations. You can install the fwbuilder on a separate machine and then either manually transfer the configurations or securely deploy via SSH or SCP. 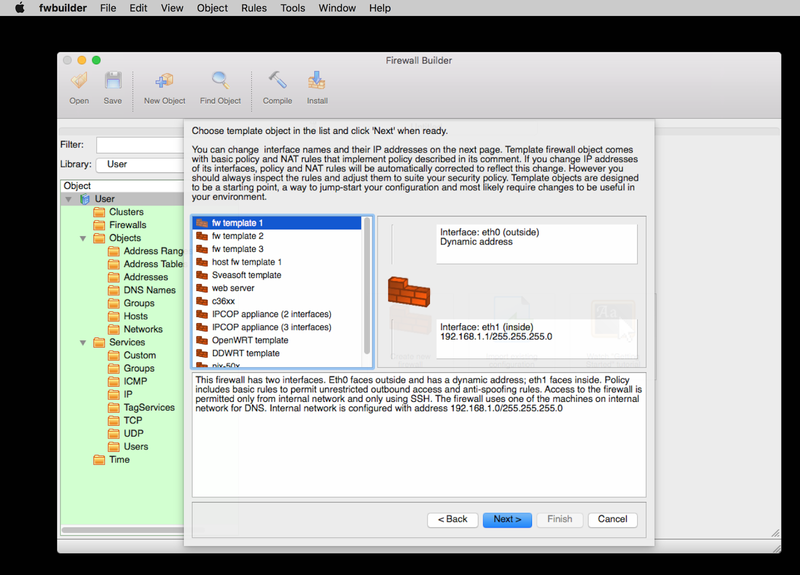 You can purchase Firewall Builder for Mac for only $10.00 at this time, our online store is located here.